Pretty sure my forehead will be somewhere between Guards pink if not Guards red by the end of today. It's hot, hot, hot!!! Had a fab day yesterday, there were 18 924s in the row and a few more dotted around. Steve, I hope your forehead survived the day, mine felt like it was masquerading as a lobster still in the pan of boiling water. Far too many cars for me to get around and see them all. I hope everyone that did make it down enjoyed it and I look forward to seeing the photos. Who owned the red auto for sale ? Suncream appears to work. How I've not used any for 40+ years alludes me!! If only I put some on my forehead and back last weekend!! No idea what the car count was, but far more than I anticipated. Far more moderns than 'classics' though, which is a shame When you have seen one Boxster or 996, you've seen them all . A show of 19 924's was good. Didn't get a chance to chat to anyone though as focus was mostly on the family. Didn't even get the camera out of the bag. Even the obligatory GTS next to my turbo photo passed me by!! We enjoyed the show! Not sure how the other 924s ended up together - we were shepherded to another part of the grounds and parked next to some shiny modern 911s! Some great cars around both modern and classic. Got some good pics just need to sort them out. Had to root around to find the classic gems in a sea of moderns, was hoping to see some more of the older cars. 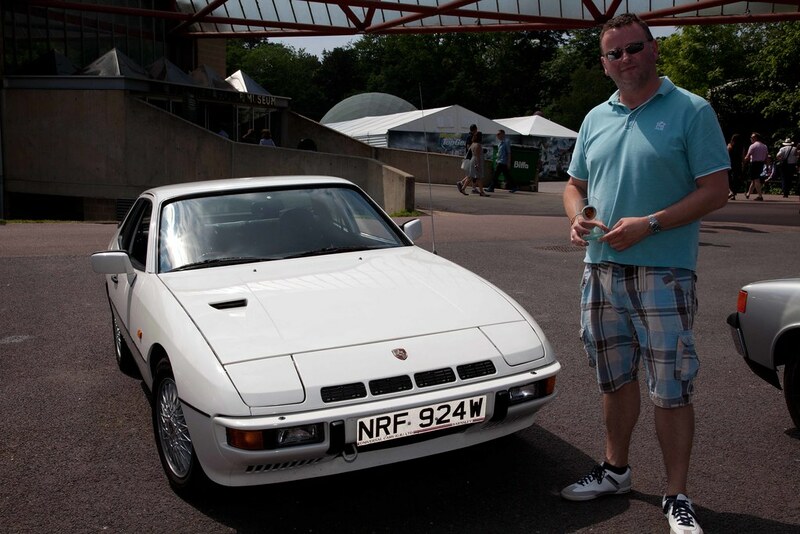 Lots of 924s which was nice, and being in a 2 line queue of Porsches to get in was an odd experience. Seeing a real GTS was good too! File comment: Should have won a prize! File comment: Both ends of Porsche pricing in one photo. It was a good day out, extremely busy when arriving about 9.30am..
As already mentioned not many classics there, lots of boxsters, 996s,997s. After a while they all start to look the same..